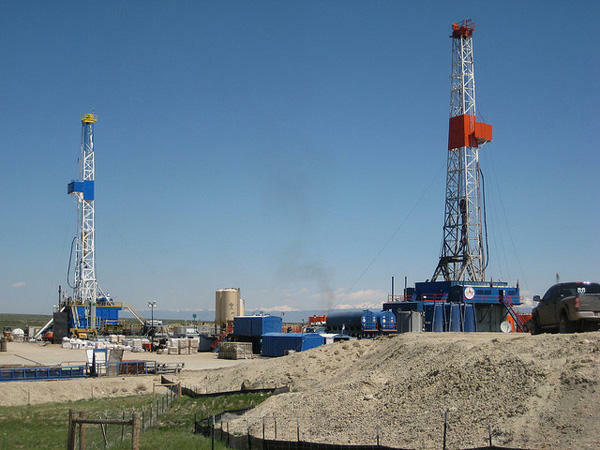 State officials want to hear what you think about fracking. The Michigan Department of Environmental Quality wants to update the state’s rules on hydraulic fracturing. The DEQ is holding two public hearings this week on the proposed changes. Hal Fitch is the chief of the DEQ’s Office of Oil, Gas and Minerals. “Starting about 2008, we started hearing increased public concerns. So we met with the environmental community, we met with the public in over 200 different forums and heard those concerns and formulated these rules based on what we were hearing,” he says. He says the changes focus on high-volume fracking operations. We’ve been using a vertical method of fracking in Michigan since the 1950s. The newer, horizontal method uses much more water – some operations in Michigan have used 20 million gallons. “The major intent of the rules is to improve transparency, and increase the comfort level of Michigan citizens with our regulations. They cover water withdrawals, monitoring and reporting, chemical disclosure and baseline sampling,” says Fitch. Fitch says we’ve had about 40 high-volume, horizontal fracking operations in Michigan to date. Even though environmental groups met with the DEQ to work on the changes, the reviews are mixed. Lisa Wozniak is the executive director of the Michigan League of Conservation Voters.